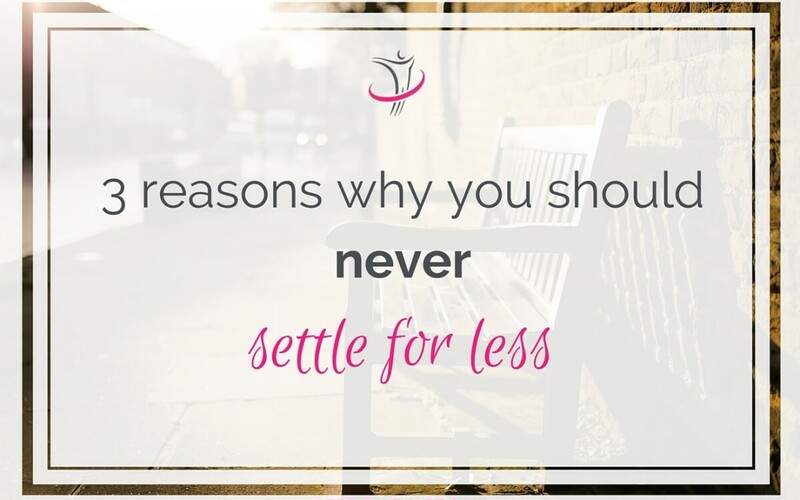 Never settle for less or comprise yourself. You deserve to accomplish all your dreams and these are 3 reasons why I say that. From the moment we are born, we inherit a countless set of rules and regulations. They determine the way we should live within our community. Their good side is that they support and strengthen society. But it rears its ugly head when we become enslaved of expectations and neglect who we are. Even though it seems that there is more freedom nowadays, there is also a desperate need to fit in. We see people doing and saying things just for the sake of being accepted. Also, when their attitude goes against their own principles. One example is being complacent with behaviors bullying and racism. Even if your case is not an extreme situation, you should not compromise yourself. 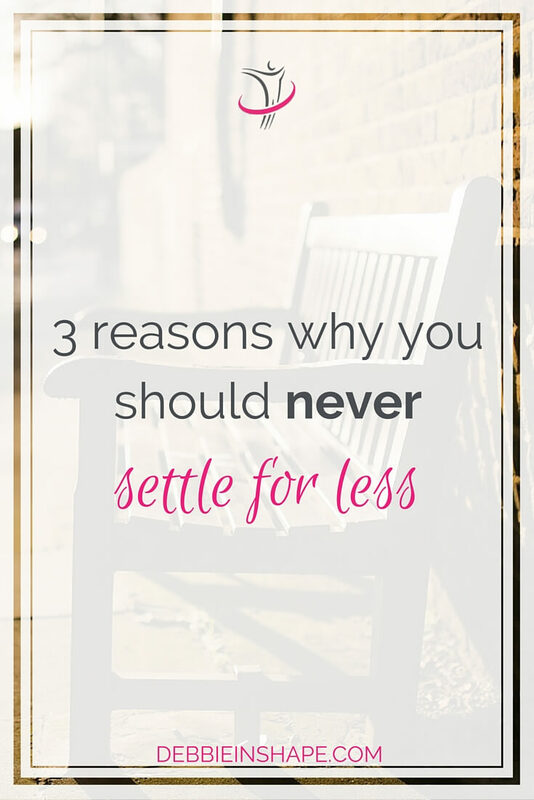 Let me share with you 3 reasons why you should never settle for less than you deserve. Have you realized that in the infinite Universe there is no copy of you? Even though identical twins share the same genetic blueprint, they are still different individuals. Now tell me how this almost miracle can be ignored? Look at the world around: your family, relatives, and friends. Think of the unforgettable experiences you have gone through. Whether you perceive them as positive or not, you cannot ignore the fact that they contributed to form the person you are today. It is not necessary to cling to the past to keep its lessons alive. From the moment you accept you are the sole responsible for your reactions, you break free from perceptions. There is no room for self-pity or guilt. Remember you are not the circumstances you have gone through. You are who you are: Unique. I will always motivate people to accomplish more in life. I believe that we are capable to achieve anything that we set our mind to. It is true that some obstacles are higher than others, but look at all success stories in history. Those who accomplished most had to fight harder than the average. Big things do not come easy. With that said, it is not going to be your certifications or goods that you will make you happy. Today, right now, no matter where you are or what you are doing: you have everything that you need. Why Is It Important To Overcome Fear? You are absolutely right in wanting more for yourself and beloved ones. But see these accomplishments as extras, like a side dish. The main course is what you got already. You do not need anything to be good. You have all the tools that you need even if you want to become better. Have you ever caught yourself postponing things indefinitely? How many times have you said “tomorrow”, “later” or “someday” lately? What is it that you want badly? That thing that keeps you awake at night? That makes you wake up earlier in the morning? That burning desire that almost suffocates you? What have you done lately to achieve it? If nothing, what are you waiting for? You know what? There will always be struggle whether you choose to reach your dreams or if you just sit around and watch times go by. The difference between the two options is personal growth and stagnation. There might be concerns or things that have a higher priority. It is fine. Just do not lose sight of your goal. Time will pass anyways. Choose what you will do with it well. Maybe because I was confronted with health issues I was forced into seeing differently. I could not just sit back and let time pass. Even though my life was never at risk, there was still stress and I had to learn how to manage it. I started asking myself certain questions. Not only my priorities shifted throughout the years since the diagnosis, but my way of seeing life changed as well. It is true that my update may have also played a role here. Yet, I could not ignore the warning I was given and I had to act upon it. There was the choice between being passive or making a move. Personally, I do not like “moves”. I had already left Brazil and came to Belgium years ago. I used to think it was more than enough change for a lifetime. But I was wrong. We can always change and improve. All it takes is making the decision and leaving our confort zone. Pick one thing or two that matters most to you. Invest time in them. Whether they are more time with your family or a career change, go for it! 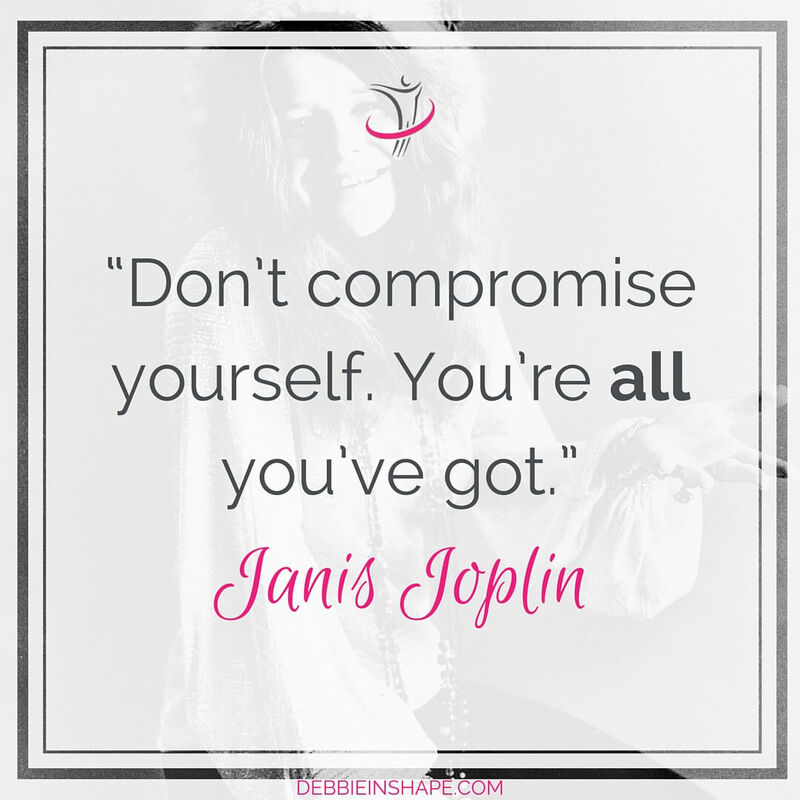 Allow yourself to grow with the experience and do not compromise because you are all you have got. I am not leaving you any questions here, but I’ll ask you to reflect. Take time to think about yourself, your dreams, and your challenges. Listen to your heart carefully and follow your gut feeling. Please check the list of link parties I join here. Be Healthy and Live Fully.